Ayantu, a 53-year-old mother of seven, had just finished preparing lunch for her children when military personnel surrounded her village. They pulled everyone out of their homes and asked them to reveal members of ‘shiftas’ – the informal name for members of the Oromo Liberation Front (OLF), an opposition group outlawed in Ethiopia. For residents of Argale, an Oromo village in Ethiopia’s Moyale District, this kind of terrifying harassment had become normal. But this time it was different. Just four days earlier, on 10 March 2018, nine people had been “mistakenly” shot dead – and 15 others injured – by military officers in the nearby Shawa Bare village. These attacks prompted the Oromo people in Tuka, Argale, Madiambo and Chamuq villages to flee into Kenya by the thousands. In January, her husband was arrested, alongside three other men. She has no idea what happened to him, or where he is now. For Ayantu and others, such attacks have been the order of the day for the last 20 years. Mid last year, she watched as military officers shot dead her uncle for challenging their attacks and harassment at a village meeting. And in January, her husband was arrested, alongside three other men. She has no idea what happened to him, or where he is now. For Godana, a 52-year-old man from Tuka village, the scars from his encounter with the military are etched deep within his soul, and on his body. His abdomen and back have burn marks from attacks suffered, also for speaking up against the military harassment. The military officers dug a hole in the ground, tied my hands and placed me in it, leaving me in the scorching sun for a whole day. “The military officers dug a hole in the ground, tied my hands and placed me in it, leaving me in the scorching sun for a whole day,” he recounted painfully. His wife was kicked by the soldiers as she tried to prevent them from arresting him, resulting in the loss of a pregnancy. But in Kenya the peace and security they sought remains elusive. Ethiopian government officials visited Moyale on 20th March, accompanied by local Kenyan leaders, to persuade the refugees to return home. Kenya’s Governor for Marsabit County also visited the makeshift refugee settlements in his county in April and urged the refugees to return home, or be relocated to the Kakuma refugee camp, more than 1,000km away. He claimed that refugees were stretching local security and health services. Local clan elders have also reported that they have received calls from their counterparts in Ethiopia urging them to tell refugees to go back home. Kenya’s national government is not acting any differently. Its Refugee Affairs Secretariat (RAS), the department that deals with refugees, withdrew its registration officers from Marsabit County in April, in effect denying new arrivals the opportunity to be registered as refugees. The deputy county commissioner also stopped coordinating humanitarian agencies, disrupting the provision of essential services. While about 4,000 refugees voluntarily returned home after the swearing in of the new Ethiopian Prime Minister Abiy Ahmed, the remaining 6,000 still fear for their safety if they return home. The Moyale District in Ethiopia continues to experience armed skirmishes that are causing refugees to fear for their safety and lives, therefore deterring them from returning home. Having signed and ratified international treaties concerning refugees, the Kenyan government is obliged to continue providing asylum and protection to the Ethiopian refugees in Moyale until they feel that they can safely go back home. Kenya must not push refugee back by making life difficult for them in Kenya. The risk of serious human rights violations in Ethiopia is still very real. The Kenya government must do all it can to support the Ethiopian refugees, including by facilitating their registration and coordinating humanitarian services to ensure they have access to adequate food, shelter and health services. The Kenya government must also facilitate their social and economic integration to enable the refugees to live a normal life in safety and dignity. This article was first published in the EastAfrican. Oromo national and Environmental Sciences Expert, Amanti Abdisa Jigi (BA, MSC) has been missing since 20 August 2000. Amanti was born in 1970 in Mana Sibuu, Wallagaa, Oromia. After completing his primary and secondary education in Wallagaa, he joined Finfinnee (Addis Ababa) University and did his undergraduate degree in Geography. He then worked for the Ethiopian government in the Ministry of Urban Planning in Finfinnee (Addis Ababa). After leaving the bureaucratic service, he became active in the plight of his people and joined the Oromo Relief Association (ORA). While working with the NGO, Amanti was in charge of ORA’s Emergency Relief Division. Amanti was then offered a scholarship to pursue postgraduate study at the University of East Anglia in in the United Kingdom. After completing his MSc in Environmental Sciences he returned to Ethiopia and found himself jobless. While he had been engaged in study overseas, the Oromo Relief Association (ORA) had been banned by the Ethiopian government. Despite his disappointment, he continued his work in environmental protection as a consultant for various organizations including the Ethiopian Environmental Non-Governmental Organization (EENGO). On the 20th of August 2000, Amanti was scheduled to attend an environmental conference in Nairobi, Kenya. He was listed as a passenger on the Kenyan Airways manifest list, and was escorted to the airport by his friends and family. Amanti boarded the plane, only to discover it was being delayed for fifteen minutes due to what was described as security issues. In the presence of scores of witnesses of various nationalities, Ethiopian Airport Security removed Amanti from the plane. After a series of inquiries were initiated by both his family and friends, it was determined that Amanti had indeed been abducted by Ethiopia’s government (TPLF) forces. He has not been seen since. Having escaped from State repression in Ethiopia, refugees coming from the region of Oromia suffer from deprivation and apprehension as they try to rebuild their lives across the border. Their situation is a direct consequence of a conflict that has seen the Oromo community in Ethiopia suffer from fundamental rights restrictions and severe human rights violations, something that has particularly been voiced by this community through massive protests since 2014. Two months ago, Kote Adi fled Moyale, Ethiopia, after government soldiers there opened fire on civilians, killing at least nine. Kote and his pregnant wife found shelter in a tent in northeastern Kenya’s Dambala Fachana refugee camp, but weeks of heavy rain have displaced them again. “Our plastic shelters were flooded with water,” said Kote Adi, who is settling into a new tent site on higher ground. Hardship and uncertainty haunt him and thousands of others who’ve left Moyale, a market town straddling the border between Ethiopia and Kenya, and its surroundings in Ethiopia’s Oromia region for safety in Kenya. Some are staying with relatives and friends, or in makeshift camps scattered across the normally arid Marsabit County. Roughly 3,350 of them, including Kote Adi, have found at least temporary security by registering with the United Nations as refugees at Dambala Fachana. Lacking most of their belongings and normal routines, vulnerable to food shortages and illness, they have no idea when they might be able to safely go home. Political and ethnic rifts keep them away. Ethiopia’s government blamed the March 10 civilian deaths on faulty intelligence, saying soldiers had been deployed to subdue militants from the nationalist Oromo Liberation Front. The Oromia region has been a hotbed of unrest, with ethnic Oromos long complaining of underrepresentation in government and lack of economic opportunities. Nearly three years of their mass anti-government protests led Prime Minister Hailemariam Desalegn to step down in mid-February. 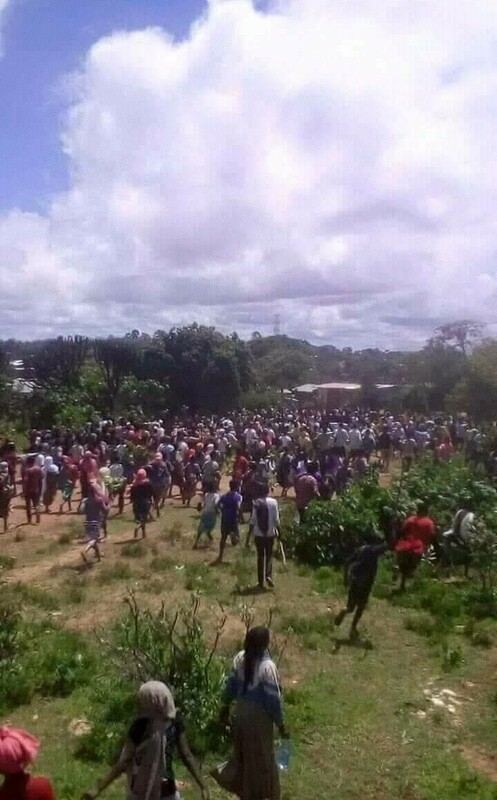 With Oromia native Abdiya Ahmed Ali’s April 2 installation as prime minister, some of the displaced ethnic Oromos made their way home to Moyale. Some discovered their dwellings had been looted. “When I went back, the door was broken. … None of my stuff was there,” Abdiya Gelma told VOA in a phone interview, ticking off missing items including her bed, kitchen utensils and a rug. Now she and her child are staying with relatives. Returnees also found an intensified military presence, Abdiya Gelma and several others told VOA. She said she saw security troops beating a youth who displayed the Oromo Liberation Front’s red-and-green flag. Moyale remains tense after more rounds of violence. A grenade exploded at a bus station April 17, killing at least three people. 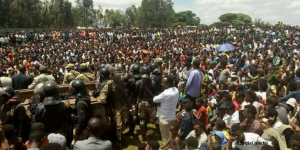 Gunfire broke out May 6 between Oromo and Garre ethnic groups, provoked by the Ethiopian Somali Region’s paramilitary force firing on a local police station, a resident told the Addis Standard. That regional force is part of the federal Command Post that has implemented a national state of emergency since then-prime minister Desalegn’s resignation Feb. 15. The border town “is so volatile. Our neighbors who went back to Moyale are coming back again” to Dambala Fachana, refugee Kote Adi told VOA. He and Nagelle Kote are staying put in the camp for now, Kote Adi said. Nagelle is his second wife; his other wife and their seven children, along with his mother, remain in Yabelo, an Ethiopian city about 210 kilometers northwest of Moyale. “I wasn’t able to contact my family there because of road closures and [poor] phone connections,” Kote Adi said, adding that he and Nagelle escaped Moyale on foot. Now he and Nagelle have an infant daughter, Tiya. She’s among at least 20 newborns in the camp, her father said. More than 600 pregnant women were among the 9,700 asylum seekers arriving in northern Kenya from Ethiopia’s Oromia region, the U.N. Refugee Agency reported in mid-March. Kote Adi operated a cattle-trading business just outside Moyale; now he has become a day laborer. He earns 100 shillings a day, but spends up to 60 shillings on the round-trip travel to a construction site two hours away. “It is the only way I can help my wife,” Kote Adi said, explaining that the extra money goes toward supplementing the rice, maize, sugar and milk rations provided by aid organizations such as the UN, its World Food Program and the Kenya Red Cross. Conditions have become more challenging with recent heavy rains, which give rise to flooding, more mosquitoes and higher risks of malaria and water-borne ailments. “The area we live in is [near] a forest infested with mosquitoes, where you hear lions roaring all night,” Kote Adi said. He estimated his was among 31 households affected by flooding. Yvonne Ndege, a U.N. Refugee Agency spokeswoman, did not give VOA a number but said in an email that heavy rains affected “few refugee families” among the nearly 1,400 households registered with the camp. All were transferred to higher ground. Emergency funds have been “diverted from other refugee operations in Kenya” home to Dadaab and its five camps, another UNHCR spokeswoman, Rose Ogola, said an email to VOA. She said U.N. agencies, along with NGOs, were assessing humanitarian needs, developing a budget and would seek donations. These would support an estimated 5,000 asylum seekers at Dambala Fachana and also the Somare camp near Moyale for six months. Meanwhile, local volunteers such as Abdiya Golicha, a Marsabit County resident, are trying to assist the displaced in and around Dambala Fachana. She has repeatedly visited the camp with donations. At first, “the kids didn’t even have shoes or clothing. We bought these for them,” Abdiya Golicha told VOA. She said local residents provided food and other basics until aid agencies could get set up. Volunteers also helped erect the plastic tents that shelter the displaced. Tags: Afars & Somali (Ogaden) and other Indigenous People are Facing Genocide in Ethiopia, Africa, Decolonizing Development, Etiopia, Ibsaa Guutama, Ibsaa Guutamaa, Land and indigenous people, National Self Determination, Oromia, Oromo, Self determination, we don't have self-rule in Oromia state. 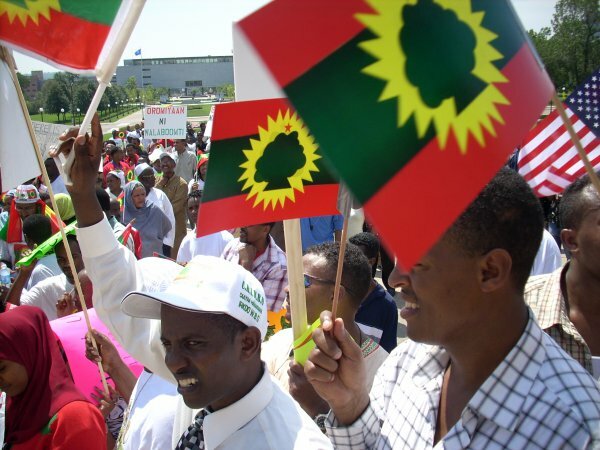 The Oromo National Movement And Gross Human Rights Violations in the Age of Globalization, click here to read in PDF. Bekele Gerba gave an interview to Voice of America Afaan Oromoo service about his experiences in Ethiopian prison. Mr Gerba touched on his unwavering philosophy and commitment to peaceful civil resistance which he believes has brought about significant changes in Ethiopian political arena. He also elaborated his hope in the future Ethiopian politics, mentioning his party’s (Oromo Federalist Congress, a party of which he deputy chairman) progress of continuing struggle for freedom, peace and prosperity of Ethiopia. Asked about his view on philosophy of standing at odds with the normalized brutality, “There is nothing fulfilling as standing for freedom even in the worst of times“. 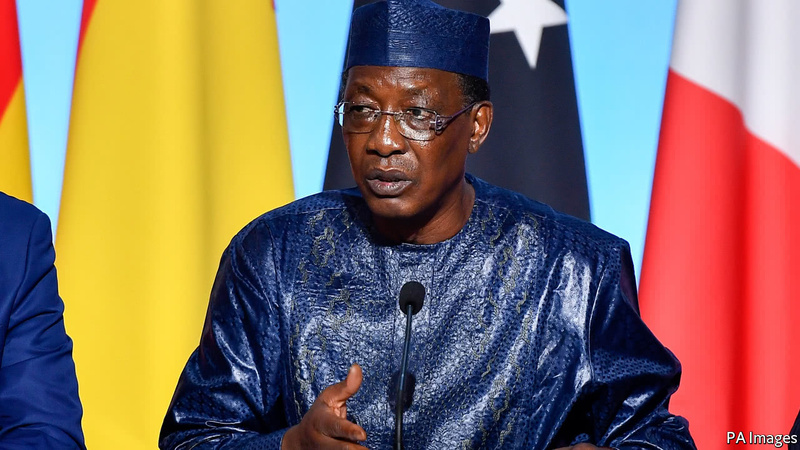 He narrated several politically motivated injustices done to him and his compatriots ranging from defaming, insult, beating and tortures to death.One of the stories he has spoken about amounts to crime against humanity. A story of a young man whose both legs are amputated after he had sustained a terminal injury to his one leg. He was beaten and tortured, as a result of which one of his legs was deemed to be of no use and hence has to be amputated. He was admitted to a health facility for surgery and for an unknown reason he woke up from the anesthesia devoid of his healthy leg as it was amputated. He was later admitted for surgical removal of his maimed leg and he became without legs. Mr Gerba didn’t specify the name of the prisoner or the health facility where the procedure was done. What makes it inhumane again is that he wasn’t even fortunate to be benefited from the government’s amnesty but rather sentenced to life in prison. Atlantic Council:- In February 2018, Eskinder Nega (left), a prominent Ethiopian journalist and blogger, and Bekele Gerba (right), the deputy chairman of the Oromo Federalist Congress, an Ethiopian opposition party, were released from prison. They were jailed for years under the country’s anti-terrorism laws. During a live conversation at the Atlantic Council, Eskinder and Bekele underscored the imperative of non-violence in Ethiopia’s struggle for political reform and the pursuit of democracy. The problem with using statistics to sing the praises of autocracy is that collecting verifiable data inside closed societies is nearly impossible. From Ethiopia to Kazakhstan, the data that “proves” that an authoritarian regime is doing good is often produced by that very same regime. Once regime-produced data makes it into the world’s most trusted indexes, authoritarians and their unintentional supporters use these numbers in their propaganda, which hampers efforts to promote human rights. When Ethiopian prime minister Meles Zenawi died in 2012, Bill Gates led a chorus of Western praise for his development efforts, praising Zenawi for bringing millions out of poverty and ignoring his near-total censorship or his massacre of hundreds of protestors. The Economist and the The New York Review of Books have since pointed out that the Ethiopian regime fabricates development statistics. They’re an easily faked way to score international points. Exchanges at the Organization of American States usually don’t do well on YouTube. But when the Honduran Minister of Foreign Affairs brought up Venezuela’s crackdown on dissent last summer, Venezuelan representative Delcy Rodríguez scored surprise points with a rebuttal citing the United Nations’ 2016 Human Development Index, which ranks Venezuela 59 spots higher than Honduras. Crackdown or no crackdown, “Venezuela does not demonstrate such terrifying statistics,” she said, in an exchange that soon went viral on Spanish-speaking social media. It was a win for the Maduro regime, and the key to victory was trusted U.N. data. For those of us working to advance human rights, such episodes are becoming frustratingly familiar. From the development initiatives of Jeffrey Sachs and Bill Gates, to Tony Blair’s despotic partnerships or Tom Friedman championing Chinese autocracy in The New York Times, the last two decades have seen political concerns repeatedly sidelined by development statistics. The classic defense of dictatorship is that without the messy constraints of free elections, free press, and free protests, autocrats can quickly tear down old cities to build efficient new ones, dam rivers to provide electricity, and lift millions out of poverty. A handful of organizations power the global industry of statistics collection, including the World Bank, the United Nations, and the World Economic Forum. Each of these organizations conduct large-scale socio-economic surveys, where researchers want to include as many countries as possible. However, many of these countries—93 of them, comprising nearly 4 billion people, according to the Human Rights Foundation—are ruled by authoritarian regimes that typically block impartial investigators from entering their borders. Often, data collectors are forced to work with the strongmen in charge. For Bahrain, the World Economic Forum receives most of its data from surveys given to government officials at the Bahrain Economic Development Board, who conduct them and give the results back to Geneva. In WEF’s analysis from that point, outliers may be cast out or excluded with data modeling, but the foundational numbers remain entirely a creation of the dictatorship. UNESCO representatives say that in the case of Cuba, they use the regime’s education numbers in compiling their reports. There is no on-the-ground verification for these often-encouraging figures. Meanwhile, a former treasury official from Uzbekistan said that visits from international data collectors were highly choreographed, and that the regime was easily able to control survey outcomes. When surveys don’t go according to plan, dictators can simply shut polling down. Gallup World Poll director Jon Clifton, when I called him up as part of a Human Rights Foundation interview several years ago, recalled a time when the company’s researchers had collected data in one African country, only to have their equipment seized at the airport on the way out. But the development reports using such numbers also wind up giving them institutional legitimacy, in ways that can affect huge decisions in aid and trade. 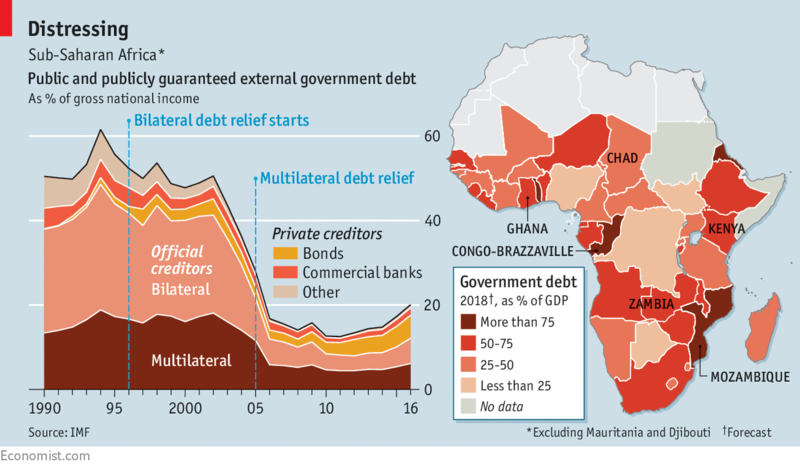 World Bank data in particular, as one 2012 study observed, is promoted in media outlets as a reputable guide for global investment, and has inspired reforms as countries seek to climb the rankings. UNESCO’s numbers go into the World Development Report (World Bank) and the Human Development Index (UNDP), where they serve, in UNESCO’s own words, to “benchmark progress towards national and international targets.” The educational components of the Sustainable Development Goals—which guide and inspire do-gooders and impact investors across the planet—are measured with UNESCO data. Statistics flow directly from many dictatorial governments to UNESCO and then into the SDG reports. Halfway across the globe in Venezuela, the late Hugo Chávez built a global reputation as the people’s president, proudly flaunting statistics showing his administration had reduced poverty by 50 percent. In 2014, Chavismo heir Nicolás Maduro justified his crackdown on dissent—torturing and kidnapping student protesters—in a New York Times op-ed citing data showing that his regime “consistently reduced inequality,” “reduced poverty enormously,” and “improved citizens’ lives over all.” The source of that data? The U.N. Economic Commission for Latin America and the Caribbean, which used Millennium Development Goal data—which came directly from the regime’s own statisticians. In Azerbaijan, Ilham Aliyev’s dictatorship has used economic growth data to convince the world that it is a thriving, effective government with a robust investment climate. The World Economic Forum, among others, gave the Azeri regime a platform to talk about its financial success—which is used to whitewash crimes ranging from the jailing of dissidents to the theft of billions. Rwandan dictator Paul Kagame’s human rights violations are legion: the assassination of critical journalists, sponsorship of death squads in the Congolese jungle, the use of international hitmen, and the jailing of political opponents. Despite all this, supporters ranging from Bill Clinton to Jeffrey Sachs breathlessly praise his leadership and economic success. When Kagame “won” 99 percent of the presidential vote a few months ago, the international community was quick to call that political data into question. But Rwanda’s literacy rates, life expectancy, and economic growth numbers continue to be taken at face value. This near-universal lack of skepticism is hard to explain, especially since the problem isn’t new. In 1987, two Soviet economists published an article called Lukavaya Tsifra(“cunning numbers”) which demonstrated that between 1928 and 1985, the USSR’s GDP had grown over ten times slower than reported by the regime’s Central Statistical Administration. They showed that the regime’s “official” economic data was being falsified to whitewash human suffering. In 2014, researchers at Bucknell compared satellite images of nighttime lights over time (a proxy for economic activity) to reported GDP growth to show that dictatorships, on average, exaggerate economic growth significantly more than democratic governments. Others have taken up this subject, too­—two examples being development historian Morten Jerven’s Poor Numbers: How We Are Misled by African Development Statistics and What to Do About It and economist Bill Easterly’s The Tyranny of Experts: Economists, Dictators, and the Forgotten Rights of the Poor. But these analyses have not fundamentally changed how people use development data. When used by universities and research institutions, socio-economic data sets guide our fundamental understanding of the world. When used by policy makers, philanthropists, and bankers, they steer billions of dollars of aid and investment. Often, the reason data from dictators remains unchallenged is that so many economists, financiers, diplomats, and donors rely on it to do their jobs. But without more rigorous inquiry into the origin and quality of socio-economic data, the grim reality of dictatorship often remains obscured. Beyond that, intellectuals and world leaders might do well reflect on their worship of development numbers over human rights concerns. After all, even if the data behind the UN’s 17 Sustainable Development Goals could be verified, what do they signify if not a single one mentions the words individual rights, civil liberties, or democracy—even once? Numbers aren’t always as simple or as neutral as they seem. Extractive industries are perceived as pathways to accelerated development particularly in developing countries for their contribution to earning foreign currency. During the colonial period in Africa, these industries remained the bases of colonial economy and at the same time symbols of labor exploitation, displacement, and oppression of native people. While these industries were long established in central and southern Africa, it is an emerging sector in Eastern Africa. The discovery of oil in the Turkana region of Northern Kenya and the prospect of oil/gas in Ethiopia’s Lower Omo belt and Ogaden region in addition to the extensive gold mining, renders an analysis of the policy dimension of extractive industries critical. This paper, therefore, assesses some controversial dimensions of extractive industries by taking the case of Adola gold mining in southern Ethiopia. The data for this brief paper was mainly drawn from the personal observations and interviews with local communities and some online resources. Adola gold mine that is currently owned by the MIDROC PLC through concession is the largest gold mine in Ethiopia with an average annual production of 4.5 tones of gold. After getting the concession from Ethiopian Mineral Resources Development Corporation (EMRDC) in 1997, the MIDROC Gold PLC has expanded at the expense of artisanal miners and local Guji Oromo through its ever-expanding enclosures. Enclosures often entail exclusion of certain group not only from physical access to resources but also by limiting their ability to use the resources. That means, enclosures disempower groups who previously been using the resources by disconnecting them from their economic, socio-cultural and spiritual ties to the land. Although the private conglomerate company operates the enclosure for the Adola gold mining, there are much in common with the previous regimes as far as exclusion and displacement of local communities is concerned. According to local informants, the Adola gold mining belt, which consists of several mining sites was first discovered in 1930s but was not fully developed until the Italian invasion (1936-1941). The Italians pursued the exploration of new sites and expanded the existing mining sites during the five years period and laid a strong foundation for the imperial regime which aggressively embarked on gold mining as the main source of revenue after 1941. Since its inception in the 1930s and continuing under the imperial and military regimes, the gold mine was operated through a harsh approach of labor conscription, displacement of local communities and expropriation of artisanal miners. In reminisces about the harshness of the work environment, elders in Shakiso refer to instances where people convicted of crimes and resistance against the imperial and military regimes were used as laborers in the mine as a form of punishment. Likewise, the indigenous Guji Oromo were displaced from the area and their lands would be claimed by the state and later the conglomerate company as a mining frontier. As indicated earlier, the Adola gold mine was established in the absence of consultation of local communities and without any compensation for the loss of their livelihoods and their ancestral lands. Local communities complain that despite the change in regimes, Adola gold mine has functioned through coercive and exploitative methods with no significant difference between the Italian invaders and the successive Ethiopian regimes when it comes to exclusion and restriction of the people from their customary lands. However, popular uprisings and protests were infrequent during the previous regimes perhaps for different reasons. First, the level of political consciousness of the local communities in claiming for their entitlement to the resources had not been strong until 1990s. The political transformation in the country in the post-1991 period coupled with the massive expansion of the gold mine following its transfer to the private company have raised the awareness and grievances of the local Guji Oromo on the basis of claim of entitlement to the natural resource and discontent towards the impacts of the mining industry. Recently, the activities of the MIDROC Gold mine led to popular protests in Guji zone that became part of the large scale protests that broke out in 2015. Local communities claim that despite being the country’s largest gold mine, the contribution of MIDROC Gold in Adola (or commonly called Laga Dambi gold mine) has been insignificant to the economic and social developments of the local people. Rather, they claim that the toxic chemicals from the project pollute their water grounds and also the displacement of local people and artisanal miners is another aspect of local discontent. As a result, protest erupted in 2009 in few secondary schools in Guji zone and soon spread to many schools in the zone. According to a report from US embassy leaked to Wikileaks, the protest initially erupted when residents of Shakiso district in Guji Zone accused Laga Dembi Mine, of releasing toxic chemical waste into a nearby river, causing illness to people and animals in the area. The local people tried to seek administrative solution to the problem by submitting petition to local government arguing that a second gold mine should not be given to MIDROC before it cleans the toxic waste that it has released from Lega Dembi, and the company compensates the community. Nevertheless, according to local informants and the source from Wikileaks, the local government authorities resorted to mass arrests of protesters and halted the ongoing investigation into the toxic dumping. The incident resulted in the detention of hundreds of students, and members of opposition parties. The government and the conglomerate company used strategy of appeasement by promising different social services and financial gift to the local people. In January 2010, Sheikh Mohammed Al Amoudi, owner of MIDROC, Alemayehu Tegenu, Minister of Mines and Energy, and Aba Dula Gemeda, President of Oromiya Region visited Shakiso to appease the community. Sheikh Al Amoudi granted 15 million Birr (USD 1,125,000) for the 15 Weredas (districts) in Guji Zone to be used for community development. According to local residents, the meeting was not open to all residents of the area; rather, handpicked residents attended and thanked the visitors for the attention they gave to their community. Although the protest was put down through a combination of force and the promised remuneration from the owner of MIDROC Gold mine, the underlying grievances never went away and meshed into the protests that broke out in November 2015. Environmental pollution was not the only source of discontent of the local communities. Since its inception in 1930s, the bulk of the employees of the gold mine are from other regions. While lack of education was used as pretext for exclusion of the Guji Oromo from employment under the previous regimes, the MIDROC gold mine uses “security” to rationalize its preference for non-indigenous labour. In any case however, the exclusion of local communities from different levels of employment is evident. Moreover, discontent also arose from unfulfilled promises from the government and the MIRDOC Gold Mine owner in terms of provision of social services such as road, schools, hospitals and drinking water for the community. In over 80 years of gold mining in the region, no investments in significant social services have been made to either compensate locals for the loss of their livelihoods or as a trickledown effect of the revenue from mining activities, the figure that is not very clear to many stakeholders. The town of Adola, which the imperial regime re-named as Kibre-Mengist for its source of gold, did not have tap water and electricity until a few years ago. Still today, the town and its surrounding community suffer from access to basic social services such as hospitals. The continued displacement and encroachment on the livelihoods of artisanal miners is also another source of discontent that has fed into recent protests. For example, the MIDROC Gold mine “discovered” new gold deposit in Sakaro area, only 3km from Laga Dambi site in 2009. In the same year, it signed a ten-years concession agreement with the Ministry of Mines and Energy to utilize the deposit and continued further explorations. MIDROC’s concessions for further exploration led to the increased enclosure of grazing lands, farmlands and artisanal mining sites leading to displacement and restriction of access rights for local communities. Accordingly, the massive land appropriation by the company, lack of transparency in the revenue, absence of clear corporate social responsibility, continued environmental pollution from the toxic dumping into rivers, and exclusion of local community from employment became rallying points in the protests that broke out here in 2015. Ethiopia has recently embarked on a program of economic diversification to transform itself into a middle-income economy. In this regard, extractive industries such as gold and other minerals, and gas and oil explorations have received growing attention from the government. The privatization of gold mining, particularly the transfer of the Laga Dambi (Adola) gold mine to the MIDROC Gold Mine could be viewed as a component of the economic liberalization since the 1990s. However, there are concerns on the part of local government authorities, members of opposition and the local community at large that the right to mine gold has been granted to MIDROC without clearly stipulating corporate social responsibility guidelines. In addition, the company’s mining activities have led to the dumping of toxic chemicals and the lack of compensation for the local community. Therefore, the existing pattern of resource extraction, exclusion of local communities and absence of positive trickledown effects is potentially conflict prone and bodes ill for the future, unless appropriate policy frameworks are put in place and genuinely implemented. Institutionalizing corporate social responsibility: Ethiopia lacks clear policy and guidelines for holding investors accountable with regards to what they ought to provide to local communities who might be directly or indirectly affected by their companies. Investors often promise some social services as a form of humanitarian or charity provision rather than as part of their responsibility. Therefore, the government should make it clear that the MIDROC Gold Mine has such social responsibilities and the company should be held accountable. For example, the 15 million birr promised (“given”) to the 15 districts was only a symbolic gesture probably intended to appease the people, and was not a fulfillment company’s social responsibility. Participatory approaches: The Adola gold mine was exclusionist from its inception. Nominal participation that involves the cooptation of local elites will not guarantee sustainable peace and harmonious co-existence between the company and local communities. The youth is much more conscious of its rights and not easily coopted. Therefore consultations and participation of the affected communities should be taken seriously. Transparency in revenue: The federal government should work towards formulating and implementing clear and transparent guidelines governing how revenue from mining operations are to be shared between different tiers of government. These policies should ensure that a part of the revenue is utilized to provide social services to local communities. MIDROC Gold Mine should prioritize employment opportunities of local communities and also empower them through trainings so that they would be competent enough to work in the company. Environmental protection protocol: Environmental pollution is emerging as a major issue in the country. The MIDROC Gold Mine is not an exception. There are reports that its toxic chemicals have polluted rivers and claimed the lives of hundreds of cattle and caused health problems to humans. Therefore, the federal government, Oromia regional state and MIDROC should work together to alleviate pollution effects. Compensation: The establishment of Adola Gold mining has led to the displacement of local communities, restriction of access to their ancestral lands and changes in their livelihoods. Affected people were not compensated. Therefore, proper compensation mechanism should be put in place for the affected people. These mechanisms should be implemented before providing further concessions to MIDR. The fieldwork which this article draws on was carried out between October 2014 and June 2015. Interviews and observations were carried out in this period of time. Oromia-Ethiopia: Wikileaks – Govt’s Crackdown on Oromo on Behalf of MIDROC Gold During Shakiso/Guji Protests of 2009 (first posted on Finfinne Tribune and Gadaa.com on September 15, 2011). Click here to read OROMIA’s MINERAL WEALTH: A BLESSING OR A CURSE?